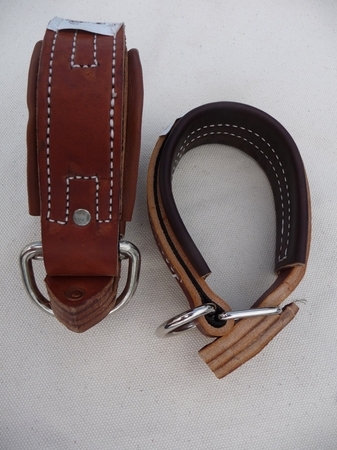 Durable roled harness leather, lined with soft chap leather. These hobbles include a heavy-duty square and a large D ring to attach your straps. 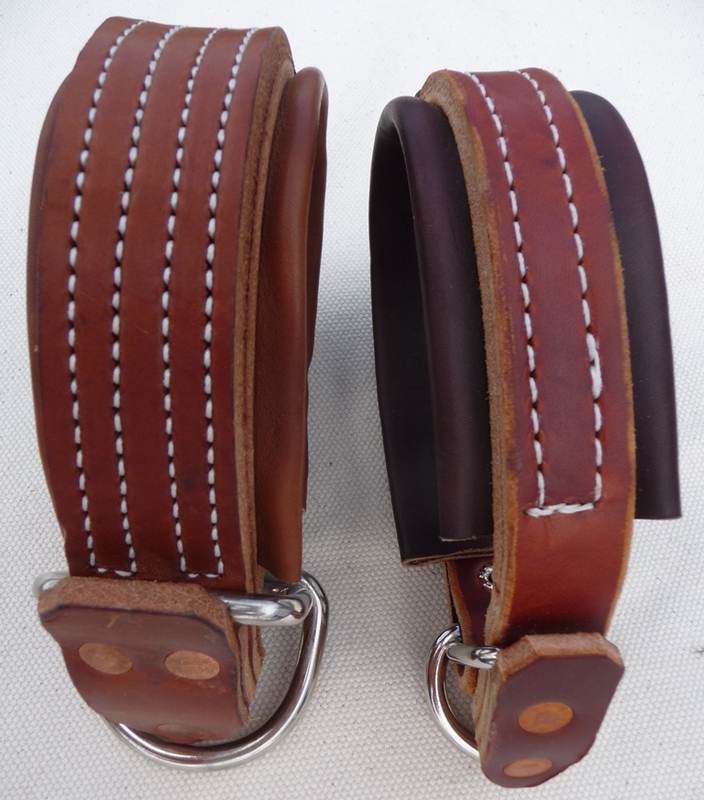 Available in 2 different widths.